Eighth Avenue Place is co-owned by three prominent investors - Ivanhoe Cambridge, the real estate investment arm of Caisse de dépôt et placement du Québec and one of the 10 largest real estate companies in the world; AIMCo (Alberta Investment Management), one of Canada's largest and most diversified institutional investment fund managers; and MATCo Investments, a private investment firm specializing in restructuring distressed companies. Hines was chosen by the project's co-owners as the development manager for this premier twin-tower office complex in downtown Calgary. Completed in early 2011, Eighth Avenue Place - East Tower consists of a 49-story, 1.1 million-square-foot tower, with a 1,143-space underground garage, and an atrium garden. 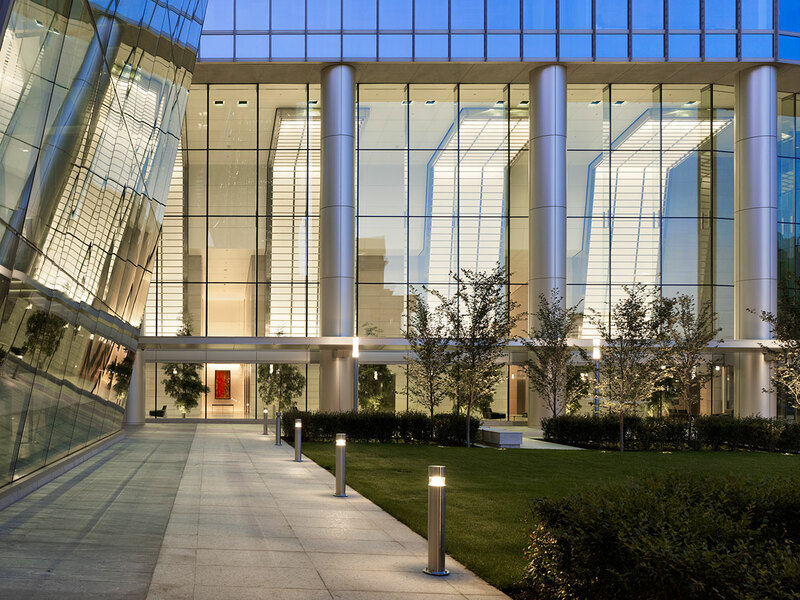 The office space in Eighth Avenue Place - East Tower is 92 percent leased. Eighth Avenue Place - West Tower was completed in mid-2014 and consists of a 40-story, 840,000-square-foot tower. 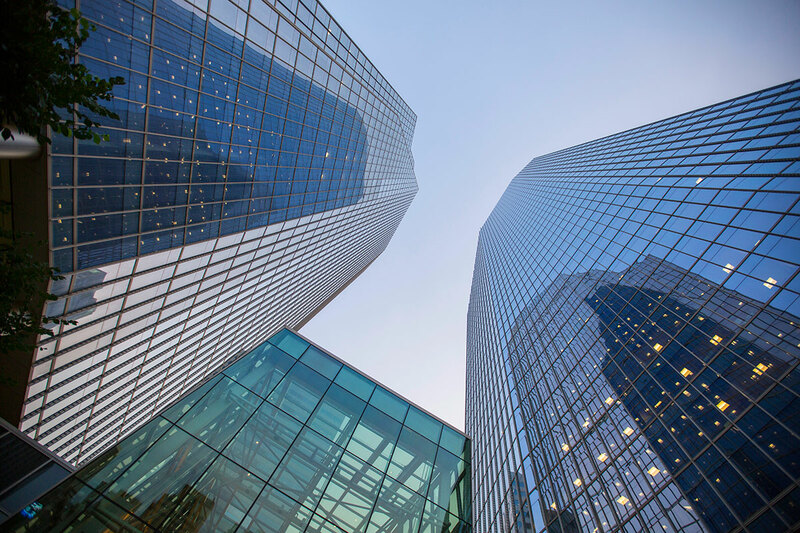 The office space in Eighth Avenue Place - West Tower is fully leased. The design concept for Eighth Avenue Place makes a metaphorical reference to the peaked and faceted Rocky Mountains that provide a compelling backdrop to Calgary. The slightly angled, sloped wall and roof surfaces create a constantly shifting palette of light, reflection and experience. The three-story lobby clad in natural stones, stainless steel and glass, is one of a kind in the city. The project features landscaped terraces and plazas facing 9th Avenue, and vibrant retail frontage along 8th Avenue. 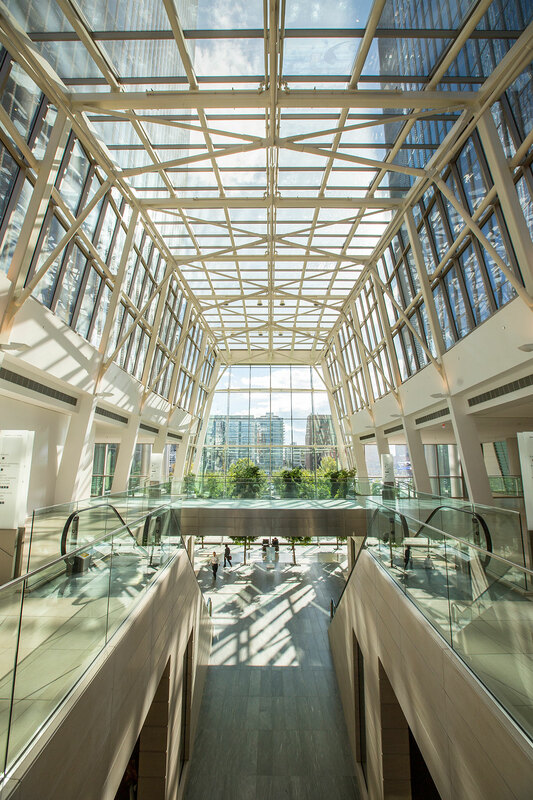 Eighth Avenue Place features landscaped terraces and plazas, a 30,000-square-foot green roof, and an atrium winter garden. Each office floor features 23,500-square-foot column-free floor plates with six corner offices, breathtaking mountain views, and abundant natural light.